Kailas Wood Industries has gained recognition in the global market as one of the trustworthy Kapur Wood , Kapur Hardwood Importers in India. The optimum quality Kapur Wood offered by us is basically an average hard wood, which can be used easily. The yellowiest color and fine texture with wavy and interlocked grain of Kapur Wood Logs makes them ideal for numerous applications. 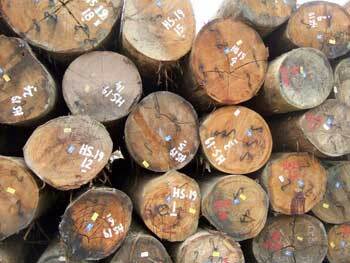 The variety of Kapur wood we provide may vary from the place of its origin. Our strong supply chain has made us one of the eminent Kapur Solid Wood Suppliers from Tamil Nadu.